WE OFFER FREE, NO PRESSURE INVISALIGN CONSULTATIONS! The consultations take about 30 minutes and can normally be scheduled on the same or following day! 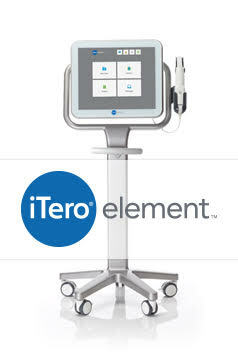 During the appointment, you will receive a complimentary digital scan of your smile using our iTero scanner. It is painless and quick! With this scan, we can show you a simulation of the results that could be possible with Invisalign treatment! The scan and consultation is completely FREE! We want to help you get the smile you've always wanted! With as little as $500 down or CareCredit approval, we can start treatment that same day! With CareCredit, your payments could be as low as $199 a month! We offer flexible payment plan options that can coordinate with HSA and Flex Spending to suit your individual needs. We also offer discounts for payment in full with cash or check! When you leave, you will know the cost of your entire treatment from start to finish, with everything included, no hidden fees or add-ons. Leave the insurance to us! We work with insurance companies to determine your benefits often before your appointment. You do NOT have to be a patient of our practice to do Invisalign here. Just like orthodontic practices, we have quite a few patients who go to other practices for their dental needs and only see us for Invisalign. You are never too old to get an amazing smile! Many of our Invisalign patients are in their 50s, 60s and 70s. Most cases take less than a year. Call us today for your complimentary Invisalign consultation and iTero scan.